11-year-old Jae-Soo (Kim Young-Chan) has seen his share of mothers through his front door. His father (Ryoo Seung-Ryong) is abusive, an alocholic and jobless. Because of this, Jae-Soo has had to manage the home's money, including carefully using their government issued food stamps and taking part time jobs. 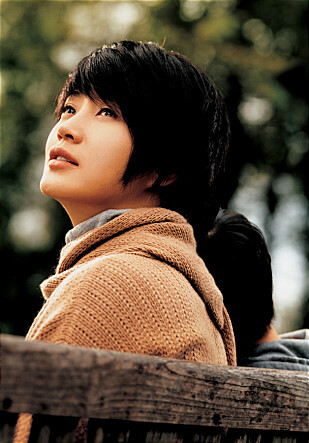 One day, his father brings home a new woman (Kim Hye-Soo) into their home. The woman wreaks of a washed up bar girl. The father introduces her to Jae-Soo as his new mother and Jae-Soo says "mom" without any emotion. Jae-Soo knows from past experience that the new lady will stick around for a little bit, then leave like all the others. Meanwhile, Jae-Soo and his new mother can barely stand one another. The woman sleeps all day, seems sick and eats everything when she is actually awake. Things change though when Jae-Soo's father comes home drunk one day. He starts to beat his son violently in front of the woman. She cowers into the corner, trying out to stay out of it, but, unable to control herself any longer, she lashes out at Jae-Soo's father. The next morning, Jae-Soo and the woman both have bruises, but they now share a bond. Sanie Sep 26 2017 2:14 pm Absolutely loved this movie. You will miss out on a great experience if you judge this movie based on the current rating. Truly filled with deep emotions and worth the watch. You wont regret watching. leonardo sihura Jun 03 2014 11:24 am I was deeply moved and cried when watching this movie, as if it's real. when I watch this, I remembered that my mother had died. I love this movie. kim kong ju Jan 27 2013 8:08 am Best movie ever.. It made me cry..